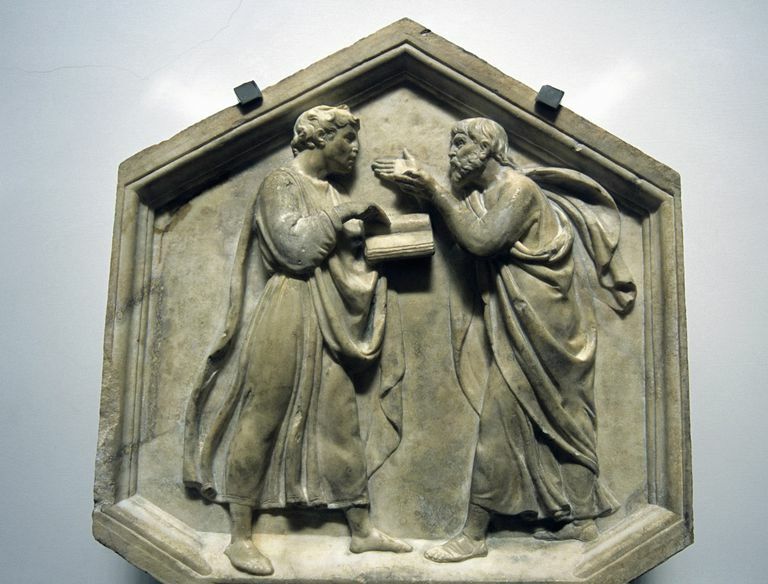 Plato and Aristotle, Relief, Sculpted by Luca della Robbia, 15th century. Aristotle was an Ancient Greek philosopher who lived from 384-322 BCE. One of the most influential philosophers, Aristotle's work was the foundational building blocks of all Western philosophy to follow. Courtesy of translator Giles Laurén, author of The Stoic's Bible, here is a list of 30 quotations from Aristotle from his Nicomachean Ethics. Many of these may seem like noble goals to live by. They may make you think twice, especially if you don't consider yourself a philosopher, but simply want age-tested ideas on how to live a better life. Politics appears to be the master art, for it includes so many others and its purpose is the good of man. While it is worthy to perfect one man, it is finer and more godlike to perfect a nation. There are three prominent types of life: pleasure, political, and contemplative. The mass of mankind is slavish in their tastes, preferring a life suitable to beasts; they have some ground for this view since they are imitating many of those in high places. People of superior refinement identify happiness with honor, or virtue, and generally the political life. Political science spends most of its pains on forming its citizens to be of good character and capable of noble acts. Every art and every inquiry, and similarly, every action and pursuit is thought to aim at some good, and for this reason, the good has been declared to be that at which all things aim. If things are good in themselves, the goodwill appears as something identical in them all, but the accounts of the goodness in honor, wisdom, and pleasure are diverse. The good, therefore, is not some common element answering to one idea. Even if there be one good which is universally predictable or is capable of independent existence, it could not be attained by man. If we consider the function of man to be a certain kind of life, and this to be an activity of the soul implying a rational principle, and the function of a good man to be the noble performance of these, and if any action is well performed when it is performed in accordance with the appropriate principle; if this is the case, human good turns out to be activity of the soul in accordance with virtue. Men generally agree that the highest good attainable by action is happiness, and identify living well and doing well with happiness. The self-sufficient we define as that which when isolated, makes life desirable and complete, and such we think happiness to be. It cannot be exceeded and is, therefore, the end of action. 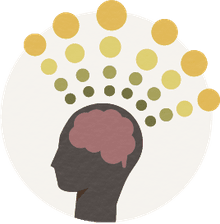 Some identify happiness with virtue, some with practical wisdom, others with a kind of philosophical wisdom, others add or exclude pleasure and yet others include prosperity. We agree with those who identify happiness with virtue, for virtue belongs with virtuous behavior and virtue is only known by its acts. Is happiness to be acquired by learning, by habit, or some other form of training? It seems to come as a result of virtue and some process of learning and to be among the godlike things since its end is godlike and blessed. No happy man can become miserable, for he will never do acts that are hateful and mean. It is the mark of an educated man to look for precision in each class of thing in so far as its nature admits. Moral excellence is concerned with pleasure and pain; because of pleasure we do bad things and for fear of pain we avoid noble ones. For this reason, we ought to be trained from youth, as Plato says: to find pleasure and pain where we ought; this is the purpose of education. The life of money-making is one undertaken under compulsion since wealth is not the good we are seeking and is merely useful for the sake of something else. Knowledge is not necessary for the possession of the virtues, whereas the habits which result from doing just and temperate acts count for all. By doing just acts the just man is produced, by doing temperate acts, the temperate man; without acting well no one can become good. Most people avoid good acts and take refuge in theory and think that by becoming philosophers they will become good. If the virtues are neither passions nor facilities, all that remains is that they should be states of character. Virtue is a state of character concerned with choice, being determined by rational principle as determined by the moderate man of practical wisdom. The end being what we wish for, the means what we deliberate about and we choose our actions voluntarily. The exercise of virtues is concerned with means, and therefore, both virtue and vice are in our power. It is absurd to make external circumstances responsible and not oneself, and to make oneself responsible for noble acts and pleasant objects responsible for base ones. We punish a man for his ignorance if he is thought to be responsible for his ignorance. Everything done by reason of ignorance is involuntary. The man who has acted in ignorance has not acted voluntarily since he did not know what he was doing. Not every wicked man is ignorant of what he ought to do and what he ought to abstain from; by such errors, men become unjust and bad. Death is the most terrible of all things, for it is the end, and nothing is thought to be either good or bad for the dead. He must be open in his hate and in his love, for to conceal one's feelings is to care less for truth than for what people think and that is the coward's part. He must speak and act openly because it is his to speak the truth. Each man speaks and acts and lives according to his character. Falsehood is mean and culpable and truth is noble and worthy of praise. The man who is truthful where nothing is at stake will be still more truthful where something is at stake. All men agree that a just distribution must be according to merit in some sense; they do not all specify the same sort of merit, but democrats identify with freemen, supporters of oligarchy with wealth (or noble birth), and supporters of aristocracy with excellence. When a distribution is made from the common funds of a partnership it will be according to the same ratio which the funds were put into the business by the partners and any violation of this kind of justice would be an injustice. People are different and unequal and yet must be somehow equated. This is why all things that are exchanged must be comparable and to this end, money has been introduced as an intermediate for it measures all things. In truth, demand holds things together and without it, there would be no exchange. There are three kinds of constitution: monarchy, aristocracy, and that based on property, timocratic. The best is monarchy, the worst timocracy. Monarchy deviates to tyranny; the king looks to his people's interest; the tyrant looks to his own. Aristocracy passes over to oligarchy by the badness of its rulers who distribute contrary to equity what belongs to the city; most of the good things go to themselves and office always to the same people, paying most regard to wealth; thus the rulers are few and are bad men instead of the most worthy. Timocracy passes over to democracy since both are ruled by the majority. Laurén, Giles. The Stoic's Bible & Florilegium for the Good Life. Create Space Independent Publishing Platform, 2010.